We have always called Mimi "the perfect one" but lately she has adopted the name "The Other Bueno." We thought it would be a good idea for her to share 10 facts about herself so you all can get an idea what she is like. We are really happy to have this goofball around again. Ok, Take it Away Mimi!!! 10 Facts about me...here we go..
1. I'm in College. Still trying to figure out what I want to do in Life. 2. I love working out, it's a part of who I am. I played softball my whole life up until college so I still have that habit of always needing a good sweat. INSANITY! 3. I love to zone out and play the Piano and Guitar, I come from a very musical family. 4. 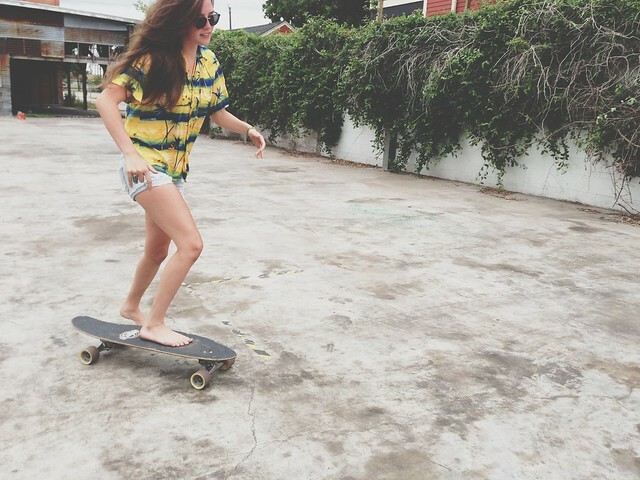 I love to Longboard (skate) and my goal is to learn how to surf this Summer. 5. I hope to Travel a lot in my Future, there are so many places I want to see. 7. I am the youngest of 4. Brandi, Kelly, Jeremiah, then Me! 8. I eat a lot of French Fries, I know so exciting! 10. Biggest Pet Peeve : When people don't live up to their word. A song to cue you in on another fact about me..